What do you do when your perfect life... isn't? Freya has the best life – she's officially in love and her floristry business, Blooming Brilliant, is going from strength to strength. Two years ago, it was a different story. She was barely employed as the worst waitress in the world, with no hope of a boyfriend, and no bank balance. But then she got BBest, a lifestyle app that knows you better than you know yourself. It changed everything. It streamlined her life, taking her likes and dislikes and skills and foibles, and gave her the best options so she doesn't make mistakes anymore. Freya has never looked back – and neither has anyone else. Everyone loves BBest, it's a game changer. But if she's so in love, why doesn't it feel exactly right? And who is that mysterious man in her beloved grandfather's bookshop with soulful eyes that leave her unstitched? All of a sudden Freya has so many questions – and no one seems to be able to answer them. She begins to wonder what she really agreed to when she let BBest into her life. Then her grandfather is arrested, and Freya is thrust into a world she could never have imagined in her shiny, successful existence. 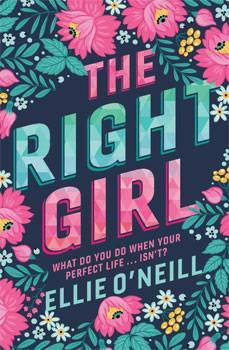 Ellie O'Neill has sold spider catchers in Sydney, flipped burgers in Dublin and worked in advertising in London. Her debut novel, Reluctantly Charmed, was a bestseller, followed by The Enchanted Island. Ellie lives in Ireland with her husband and two children.